Find out who made our list of the good and the bad after a chaotic and engrossing Hungarian Grand Prix. Daniel Ricciardo – thank goodness for the Aussie. As we came to expect in 2014, Ricciardo was prepared to go wheel-to-wheel with anyone. 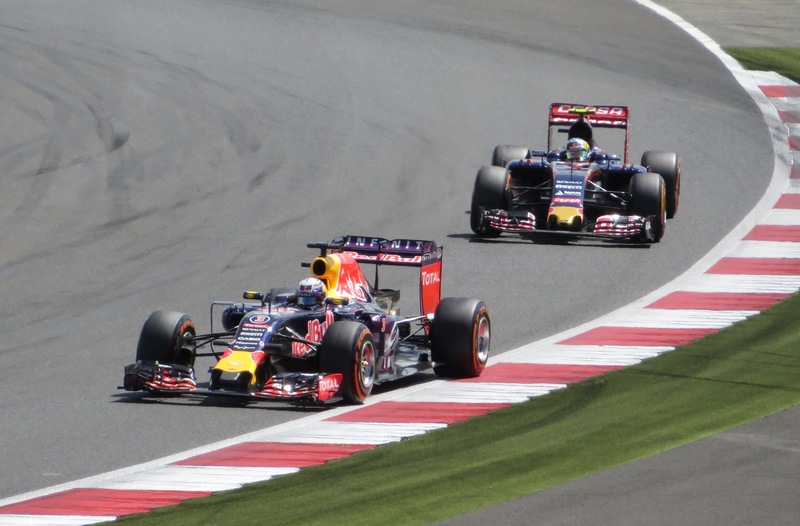 Particularly against world champion Hamilton, Ricciardo seemed the only driver willing to fight. Far too many seemed resigned to letting the superior Mercedes through without much hindrance. Ricciardo along side Alonso remains one of the few brave and clever over takers in F1. The clash with Rosberg late in the race was arguably pushing the limits but the sport would be worse off if everyone defended like Felipe Massa. Sebastian Vettel – the four-time champ took full advantage of a superior start and controlled the race. Was not seriously challenged due to the mistakes of others but drove faultlessly and reminded Mercedes that he is ready to pick up the pieces if they continue to endure more self inflicted problems. McLaren Honda – yes they were helped massively by penalties galore for rivals. Yes they were helped by problems and accidents for others. Nevertheless, it was a great result for the team and a much needed boost to their flagging spirits. No matter who you support in F1, the current McLaren slump is not good for the sport. Hungary was an undoubted false dawn but there was hope in the fact Fernando Alonso was able, at times, to race against other drivers, not to mention the fact both cars finished the race. For the first time in several races the McLaren looked less like a wayward handful and was not as hampered by the rumoured 150bhp power deficit as usual. The weekend’s results are not in any way a reflection on their status however. They are still no better and no quicker than around 14th on the grid. However there is some cause for optimism. Penalties – no one likes it when penalties decide football matches. The same cannot always be said of Formula 1. Penalties certainly spiced up the action and made for a more entertaining race than was anticipated. Pleasingly the decisions of the stewards were pretty much spot on which was impressive considering how many incidents there were and the rate at which they were appearing. Max Verstappen – he came off the back of a run of fairly ropey performances where his inexperience had shone through to deliver a composed drive to fourth. F1’s rookie sensation got back to the kind of driving that turned so many heads at the start of the season. Undoubtedly the result was helped by the excellent aero properties of the Toro Rosso design and the demolition derby driving of others. 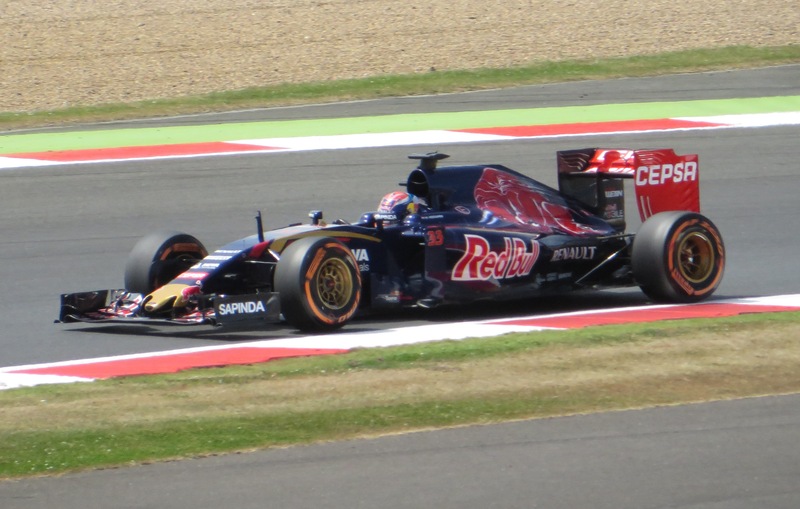 Still the teenager needed to deliver the goods and got back to putting his team-mate Carlos Sainz Jnr in the shade. The drivers – after a traumatic week in the history of the sport, the drivers were to be commended for putting on some top-class entertainment. Some – notably Felipe Massa and Lewis Hamilton – seemed very unsettled by the funeral and tributes to Jules Bianchi but all deserve credit for enduring a difficult weekend. The #7 Ferrari – at the other end of the spectrum from Vettel we find more dramas and maladies for Kimi Raikkonen. If a component is going to break on a Ferrari this season it seems certain to be the number 7 of the former World Champion. The Iceman was In no position to challenge for the win but with the mistakes of others, was set for a runner-up finish at a critical time in the season. Pastor Maldonado – his performance reminded me of the wonderfully cheesy Days of Thunder movie. How the pit wall must have been tempted to quote Robert Duval’s crew chief Harry Hogg and request the Venezuelan ‘hit the pace car’. It seemed on Sunday that, if it had been physically possible, Maldonado would have crashed in to himself at some point. Sadly Pastor’s PDVSA backing plus Lotus’ ongoing cash flow problems mean we can expect to see ‘Crashtor’ for at least another season after 2015. Jolyon Palmer made more noises over the weekend about fancying his chances of a Lotus race seat in 2016. Unfortunately that will not be at the expense of Maldonado and instead as a result of Romain Grosjean leaving in the Valtteri Bottas induced race seat merry-go-round. Find out more here. Lewis Hamilton – lambasted in the British press as driving ‘like a drunk’, the reigning World Champion put on a masterclass in how not to do it. Compromised by ongoing start line issues, Hamilton then created more problems for himself with an ill-advised attempt to pass his teammate culminating in an off track expedition and more places lost. Lewis them over compensated in his drive to get back to the front by being too aggressive and impatient. Given his outright pace this should have been a trademark back-to-front drive. Instead a distinct lack of composure and more signs of his continued petulance derailed his charge. The fact he had the audacity to raise a “what are you doing?” hand to Ricciardo after understeering in to the Australian was a case in point. Similarly dodgy driving by Rosberg ultimately saved the day as Hamilton somehow managed to leave Hungary with a bigger lead in the championship. Nico Rosberg – like Spa last season, Hungary could well be the race that defines the season for Nico. 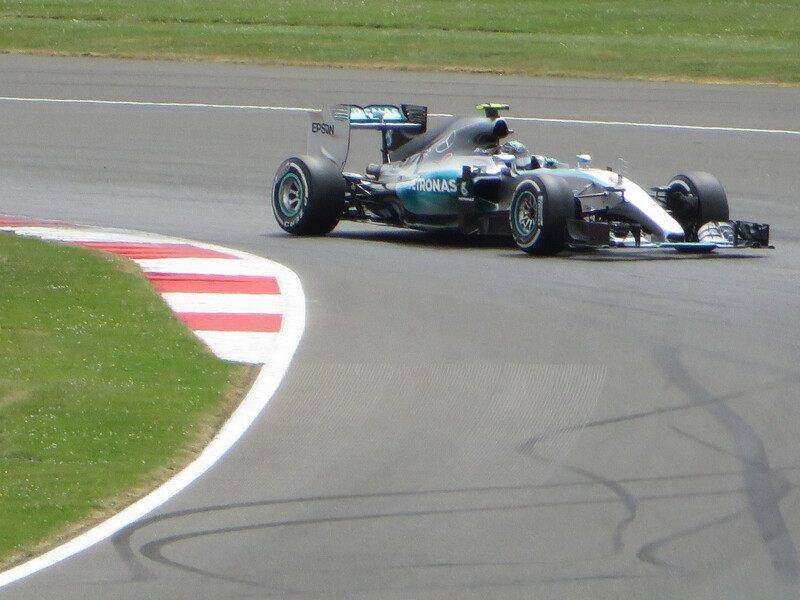 Uncomfortable all weekend Rosberg appeared ill at ease in his Mercedes and discernably slower than his team mate. Gifted a fabulous opportunity by Hamilton’s mistakes to make big gains he made a fundamental mistake failing to take the soft tyre for the final stint. That was only compounded by the puncture caused fending off Ricciardo who was, ironically, on the faster soft tyre. The puncture wrecked the chance to go in to the summer break equal in the points with Hamilton. A big opportunity missed. Mercedes – a tactical miscue with Rosberg on tyres plus an inability to get a hold of Hamilton during the race were just a few of the trials the team faced. From start issues appearing to be a ‘Lewis-only’ problem, the issue seems to have migrated to both cars. As with Silverstone very poor starts compromised both silver arrows. Last time out the rode their luck with sheer pace and Williams’ mistakes to win but it ran out at the Hungaroring. A worry for the German squad but unlikely to shake them from another drivers and constructors championship double. Front wings – two significant front wing failures in Hungary for Ferrari and spectacularly Force India gave cause for concern. Teams have been really pushing the envelope on how this season’s front wings are affixed to the nose cone. A tiny sliver of carbon fibre is all that holds both together and you hope the FIA will be examining what data both teams produce closely. It is clear that Lewis cannot handle adversity. He’s great as long as everything is going his way but throw an obstacle at him he disengages his brain. This is typical of an athlete who has been coddled, picked up after, and told they were the greatest from the time they put on big boy pants. I think it was Bobby Rahal who said that on a race track you should never let your ego make decisions. If Vettet can put just a little more pressure on Lewis will crack and Seb will win the championship.